It's no secret that I love the winter and I love winter clothes. I've been blissfully happy that it's been so cold and I can wear my heavy winter coats. As I write this, it's snowing outside and I can't wait to wear a hat and gloves tomorrow. The thing I love most about winter clothes is all the fun, festive clothing that comes out during the holidays. 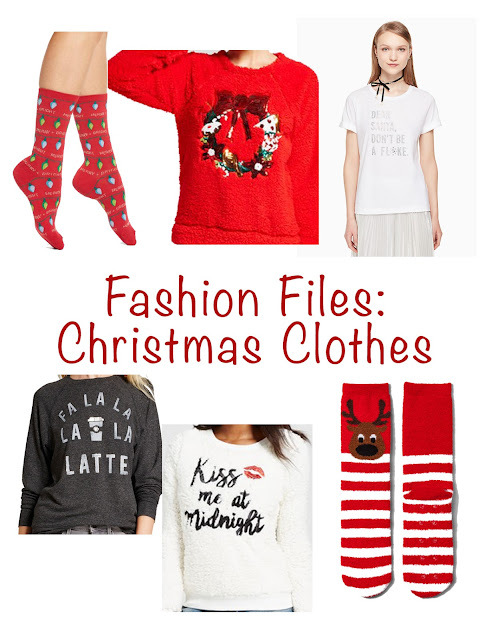 I don't mean Santa costumes or hats, but I mean the fun sweaters, socks, and other clothing items that come out to show off your love for this holiday. As I write this, I'm wearing a Noel sweatshirt that I got last year from ILY Couture and it's so comfortable and I just feel very festive wearing it. The trend of graphic tees has trickled over into the holiday season so there is plenty to choose from. 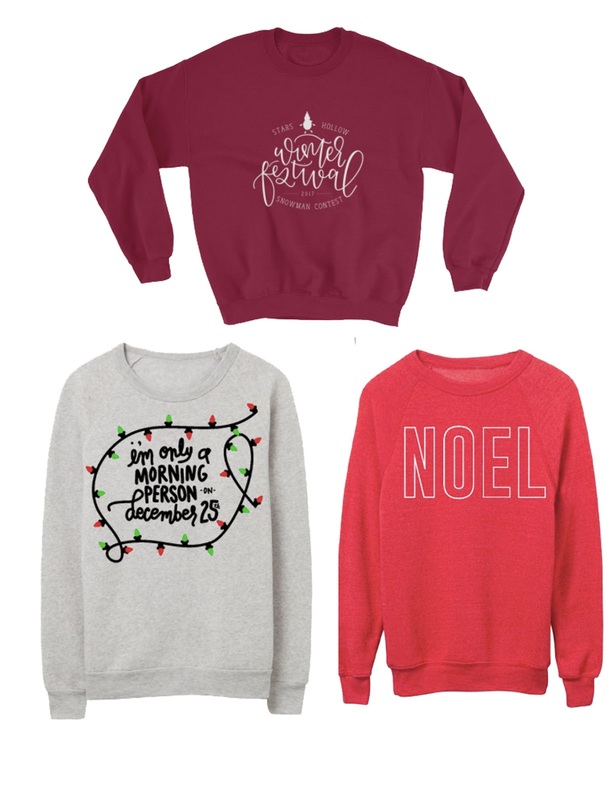 What Christmas/holiday sweaters are your favorite?